3. The applicant alleged, in particular, that his conviction for “war crimes” as a result of his participation in a punitive military expedition in the Second World War had violated Article 7 of the Convention. 9. On 22 June 1941 Nazi Germany attacked the Soviet Union, of which Latvian territory formed a part. The lightning advance of the German Army (Wehrmacht) forced the Red Army to leave the Baltic region and withdraw towards Russia. The applicant, who was living near the border at the time, followed. By 5 July 1941 the whole of Latvia had been overrun by the Wehrmacht. The three Baltic States and part of Belarus were joined to form a vast territory administered by the Reich Commissariat for the Eastern Territories (Reichskomissariat Ostland), which took orders directly from Berlin. 10. […] In 1942 (the applicant) was called up as a soldier in the Soviet Army […]. 11. […] In March 1944 he was put in command of a platoon by his two immediate superiors, whose primary objectives according to the applicant were as follows: to sabotage military installations, communication lines and German supply points, to derail trains and to spread political propaganda among the local population.[…]. 12. On 27 May 1944 the Red Partisans attacked the village of Mazie Bati (municipality of Mērdzene, district of Ludza), which at the time was approximately 80 kilometres from the front. 14. In February 1944 the German Army discovered and wiped out a group of Red Partisans led by Major Chugunov who were hiding in a barn in the village of Mazie Bati. The applicant and his unit immediately suspected the villagers of having spied for the Germans and of having turned Chugunov's men in to the enemy. It was then decided to take reprisals against the inhabitants of Mazie Bati. 15. Meanwhile, in constant fear of an attack by the Red Partisans, the male inhabitants of Mazie Bati – who up to then had not carried weapons – sought assistance from the German military administration, which ultimately provided every man with a rifle and two grenades “for his own protection”. 16. On 27 May 1944 the applicant and his men, who were armed and wearing Wehrmacht uniforms to avoid arousing suspicion, entered the village where the inhabitants were preparing to celebrate Pentecost. The commando unit split up into a number of small groups each of which attacked a house on the applicant's orders. Several Partisans burst into the home of a farmer, Modests Krupniks, seized weapons they found there and ordered him out into the yard. When he pleaded with them not to kill him in front of his children, they ordered him to run towards the forest before opening fire when he did so. Krupniks was left, seriously wounded, on the edge of the forest, where he died the following morning from a massive haemorrhage. Although the surviving villagers heard his screams and groans, they were too afraid to go to his aid. 17. Two other groups of Red Partisans attacked the homes of two other farmers, Meikuls Krupniks and Ambrozs Buļs. Meikuls Krupniks was seized in his bath and savagely beaten. The Partisans took the weapons they had found in the two villagers' homes to Meikuls Krupniks' house. There they fired several rounds of bullets at Buļs, Meikuls Krupniks and Krupniks' mother. […] Meikuls Krupniks and his mother were seriously injured. The Partisans then doused the house and all the farm buildings (including the barn and stable) with petrol and set them alight. Krupniks' wife, who was nine months pregnant, managed to escape, but was seized by the Partisans and pushed through a window of the house into the flames. The following morning the surviving villagers found the charred remains of the four victims. Mrs Krupniks' body was identified by the badly burnt skeleton of the baby lying next to her. 18. A fourth group of Partisans burst into Vladislavs Šķirmants' home, where they found him on his bed with his one year-old son. After finding a rifle and two grenades hidden in a cupboard, they ordered Šķirmants – who was still in his underwear – to go out into the yard. They then bolted the door from the outside to prevent his wife following him, took him to a remote corner of the yard and shot him dead. 19. A fifth group attacked the home of Juliāns Šķirmants. After finding and seizing a rifle and two grenades, the Partisans took him out to the barn, where they executed him. 116. [...] The Court observes that it is not its task to rule on the applicant's individual criminal responsibility, that being primarily a matter for the assessment of the domestic courts. Its sole task is to consider, from the standpoint of Article 7 § 1 of the Convention, whether on 27 May 1944 the applicant's acts constituted offences that were defined with sufficient accessibility and foreseeability by domestic law or international law […]. 118. The next point to note is that, in its judgment of 13 April 2004, which was upheld on appeal on points of law, the Criminal Affairs Division of the Supreme Court characterised the applicant's acts by reference to three international instruments: the Hague Convention of 1907 concerning the law and customs of war on land (or, more precisely, the Regulations appended thereto), the Geneva Convention of 1949 relative to the Protection of Civilian Persons in Time of War and, lastly, the Protocol Additional to that Convention, which was adopted in 1977. Of these three instruments, only the Hague Convention existed and was in force at the time the alleged offences were committed in 1944. The other two came into being at a later date and did not contain any provisions affording them any retrospective effect. 120. The Court observes that neither the USSR nor Latvia were signatories to the Hague Convention of 1907. Consequently, in accordance with the “general participation” clause contained in Article 2, that Convention was not formally applicable to the armed conflict in question. However, as the International Military Tribunal for Nuremberg stated in its judgment of 1 October 1946, the text of that Convention constituted codification of the customary rules which, in 1939 – by the time the war broke out – “were recognised by all civilised nations” […]. 121. The applicant submitted that the provisions of the Hague Convention were inapplicable ratione personae to the events in Mazie Bati because the Convention uses the term “enemy” whereas the villagers who were killed on 27 May 1944 were his fellow citizens. The Court cannot accept that argument. On the aforementioned date, the region in which the village concerned was located was occupied by the armed forces of Nazi Germany, one of the belligerents in the Second World War, was under German military administration and in a combat area close to the front. Further, it is not disputed that the applicant and the men from his unit were members of the Soviet army and, as such, “combatants” within the meaning of international law. They were therefore expected to be aware of the universally accepted rules of jus in bello and to comply with them in all circumstances. This, in the Court's view, is sufficient to justify the conclusion that the substantive rules contained in the Regulations appended to the Hague Convention of 1907 were applicable to the impugned events. 122. The Court considers it unnecessary to carry out a separate analysis of the accessibility of the provisions of the Regulations as at 27 May 1944. Although the USSR had not ratified it, the Hague Convention merely reproduced the fundamental customary rules that were firmly recognised by the community of nations at the time. The Court therefore presumes that the applicant, as a serviceman, must have been aware of these rules. Nor is it the Court's role to provide an authoritative interpretation of the Hague Convention or to establish the precise content of the notion of a “war crime” as that term was understood in 1944 […]. Conversely, it is necessary for the Court to examine the criterion of foreseeability in the present case. More specifically, it must determine objectively whether a plausible legal basis existed on which to convict the applicant of a war crime and, subjectively, whether at the material time the applicant could reasonably have foreseen that his conduct would make him guilty of such an offence. 126. As regards the nine victims of the applicant's units, the Court notes that the parties could not agree on their precise status under the international law applicable at that time. The respondent Government concurred with the Latvian courts that the villagers had to be regarded as “civilians” with all the guarantees such status afforded. The applicant and the Russian Government contested that characterisation. For its part, the Court considers that the situation of the six men and three women who died during the events in question must be examined separately. 127. As to the male victims, the Court notes at the outset that there is nothing in the case file to indicate that they were members of the Latvian auxiliary police […]. The applicant's allegations to that effect must therefore be rejected. On the other hand, it is common ground that these men had received rifles and grenades from the German military administration. The fact that they were not openly carrying them at the time of the assault by the Red Partisans is of no relevance in the present case. It appears from the case file that it is no longer possible to establish the precise reason why the Germans had armed these six farmers […](see paragraph 27 above). The Court notes, however, a number of concordant factors which could help to shed some light on this subject. 128. The parties agree that in February 1944, in other words approximately three months before the events in question took place, the Wehrmacht had attacked a barn within the boundaries of Mazie Bati in which a group of Red Partisans led by Major Chugunov had taken refuge. The group was wiped out during the attack. The respondent Government have not really contested the applicant's assertion that it was the villagers who informed the Germans of the Partisans' presence in the barn and, more specifically, that it was Meikuls Krupniks (the owner of the barn), Bernards Šķirmants and the three women who were responsible for the betrayal. Moreover, this was expressly acknowledged by the courts of first instance and appeal either with respect to all the men concerned, or, at least, with respect to Meikuls Krupniks […]. Lastly, neither the domestic courts in their decisions nor the Government in their observations refuted the allegations that the villagers concerned had been rewarded by the German military command for their act […]. 129. In the same judgment, the Criminal Affairs Division mentioned the night watch regularly kept by the Mazie Bati villagers. That practice bears a resemblance to the practice […] of the Latvian auxiliary police in neighbouring villages […]. For present purposes, it suffices for the Court to say that, in view of the conduct of these men and the conditions obtaining at the time in the region in question, the applicant and the other Red Partisans had legitimate grounds for considering these farmers not as “peaceable inhabitants” – the term employed in the present case by the Supreme Court Senate – but as collaborators of the German Army. 130. In its judgment of 30 April 2004, the Criminal Affairs Division attempted to justify that collaboration by the need for the persons concerned to defend themselves and to protect their families against the Red Partisans. The Court cannot accept that argument. Firstly, it reiterates that National Socialism is in itself completely contrary to the most fundamental values underlying the Convention so that, whatever the reason relied on, it cannot grant any legitimacy whatsoever to pro-Nazi attitudes or active collaboration with the forces of Nazi Germany […]. Secondly, the villagers must have known that by siding with one of the belligerent parties they would be exposing themselves to a risk of reprisals by the other. 131. In the light of the foregoing, the Court is not satisfied that the six men killed on 27 May 1944 could reasonably be regarded as “civilians”. In that connection, it notes that the Regulations appended to the Hague Convention of 1907 do not define the notions of “civilian” or “civil population”. In characterising the Mazie Bati victims as civilians in the present case, the Criminal Affairs Division relied on Article 50 of the Protocol Additional to the Geneva Conventions relating to the Protection of Victims of International Armed Conflicts, which was adopted in 1977. It is true that that provision contains a presumption that any person not belonging to one of the predefined categories of combatants or in respect of whom there is a doubt on that point must be considered a “civilian” […]. However, as the Court has already stated, this Protocol, which was drawn up and adopted more than 30 years after the events in question, cannot be applied retrospectively to characterise the acts the applicant was alleged to have committed. 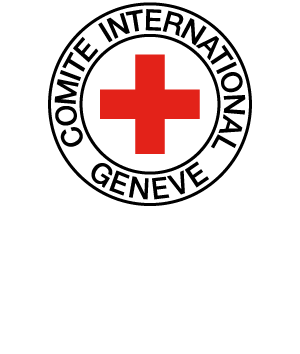 Furthermore, on the assumption that the aforementioned conventions represented progress and not a regression in humanitarian international law, the fact that no such presumption was included in the Geneva Convention of 1949 indicates that there is no reason to consider that it was already recognised in customary law in 1944. Moreover, Article 5 of the 1949 Convention itself provided exceptions which enabled persons who had abused their “civilian” status to be deprived of their special rights and privileges […]. In sum, there is nothing to show that under the jus in bello as it existed in 1944 a person who did not satisfy the formal conditions to qualify as a “combatant” had automatically to be assigned to the category of “civilians” with all its attendant guarantees. 132. The Court notes, further, that the operation of 27 May 1944 was selective in character. The case file clearly shows that the Red Partisans at no stage intended to attack the village of Mazie Bati itself – for instance, with a view to eliminating all its inhabitants and burning down the buildings. The Court […] notes [...] that the impugned operation was carried out against six specific, identified men who were strongly suspected of having collaborated with the Nazi occupier. After arriving at the homes of each of the six heads of family and searching their homes, the Partisans executed them only after rifles and grenades supplied by the Germans – tangible evidence of their collaboration – were found. Conversely, with the exception of the three women whose situation the Court will examine below, all the villagers were spared. In particular, no young children in the village at the time of the attack – including the children of those who were executed – suffered […]. Lastly, only two houses, those belonging to Meikuls Krupniks and Bernards Šķirmants, were burnt down. 134. In its judgment of 30 April 2004, the Criminal Affairs Division cited three articles of the Regulations in question: Article 23, sub-paragraph 1, point (b), which makes it illegal “to kill or wound treacherously individuals belonging to the hostile nation or army”; Article 25, which prohibits attacks on “towns, villages, dwellings, or buildings which are undefended”; and, lastly, Article 46, sub-paragraph 1, which provides that certain fundamental rights such as “(…)[…] honour (…)[…], the lives of persons, and private property” must be respected. The instant case concerned a targeted military operation consisting in the selective execution of armed collaborators of the Nazi enemy who were suspected on legitimate grounds of constituting a threat to the Red Partisans and whose acts had already caused the deaths of their comrades. Accordingly, the Court is not persuaded by the respondent Government's assertion that the case concerned “an undefended village”. In point of fact, the operation was scarcely any different from those carried out at the same period by the armed forces of the Allied powers or by local Resistance members in many European countries occupied by Nazi Germany. Furthermore, the domestic courts failed to explain in what respect the operation was considered to have been performed “treacherously” within the meaning of Article 23 of the Hague Regulations and not as a legitimate “ruse of war”, as authorised by Article 24. 137. In the light of the foregoing, the Court considers that it has not been adequately demonstrated that the attack on 27 May 1944 was per se contrary to the laws and customs of war as codified by the Regulations appended to the Hague Convention of 1907. Accordingly, in view of the summary nature of the reasoning of the Latvian courts, it concludes that there was no plausible legal basis in international law on which to convict the applicant for leading the unit responsible for the operation. 138. There remains the issue of the three women killed at Mazie Bati, namely Meikuls Krupniks' mother and wife, who was nine months pregnant, and Bernards Šķirmants' wife. In this instance, the Court considers that the characterisation in law of the circumstances in which they died essentially depends on two questions: firstly, whether and to what extent they had participated in the betrayal of Major Chugunov's group in February 1944 and, secondly, whether their execution was planned by the Red Partisans from the start or whether the members of the unit were in fact acting beyond their authority. Here again, the Court can but regret the overly general and summary nature of the domestic courts' reasoning, which does not allow any definite answers to be given to these two questions. For its part, it considers that there are two possible explanations for what happened. 139. The first was that the three women concerned played a role in the betrayal of Chugunov's men, and their execution during the operation carried out on 27 May 1944 was planned from the start. The Court notes that the Government have not refuted the applicant's assertion that the three women had escaped the vigilance of the Red Partisans who had taken refuge in Meikuls Krupniks' barn and had kept watch while the men had gone to the neighbouring village to alert the German garrison, and that after the Partisans had been killed, Krupniks' mother had removed the coats from the bodies […]. This version appears to be supported by the fact that only these women were killed whereas, for example, Vladislavs Šķirmants' wife was spared […]. If this account is true, the Court is bound to conclude that the three women were also guilty of abusing their status of “civilians” by providing genuine, concrete assistance to the six men from Mazie Bati who collaborated with the Nazi occupier. In such circumstances, the Court's finding with respect to the men who were executed during the operation on 27 May 1944 is in general equally applicable to the three women. 140. The second explanation is that the women's execution was not initially planned by the applicant's men and their commanding officers and that their deaths resulted from an abuse of authority. Having regard to all the relevant circumstances of the case, the Court considers that neither such abuse of authority nor the military operation in which it took place could reasonably be regarded as a violation of the laws and customs of war as codified in the Hague Regulations. Under this scenario, the Court accepts that the acts committed by the members of the applicant's unit against the three women concerned could prima facie constitute offences under the general law, whether of murder, involuntary homicide, wounding causing death or failure to assist a person in danger, or one of the “military crimes” to which the applicant has referred […]. As offences under the general law, these must be examined by reference to the domestic law applicable at the material time. 148. In the light of the foregoing, the Court considers that the applicant could not reasonably have foreseen on 27 May 1944 that his acts amounted to a war crime under the jus in bello applicable at the time. There was, therefore, no plausible legal basis in international law on which to convict him of such an offence. Even supposing that the applicant has committed one or more offences under the general domestic law, their prosecution has long since become statute barred. Accordingly, domestic law could not serve as the basis for his conviction either. 149. There has consequently been a violation of Article 7 of the Convention. 191. The facts established by the domestic courts as regards the events of 27 May 1944 are summarised above (…)[…] and the Court extracts the following central elements. When the applicant’s unit entered Mazie Bati, the villagers were not engaging in hostilities: they were preparing to celebrate Pentecost and all the deceased villagers were found by the Partisans at home (one in his bath and another in bed). While arms and munitions supplied by the German military administration were found in the deceased villagers’ homes, none of those villagers were carrying those or any arms. The Chamber (at paragraph 127 of its judgment) found this latter fact to be of no relevance but, for the reasons set out below, the Grand Chamber considers this pertinent. While the applicant maintained before the Grand Chamber that no one was burned alive, the domestic courts established that four persons died in the burning farm buildings, three of whom were women. Lastly, none of the villagers killed had attempted to escape or offered any form of resistance to the Partisans so that, prior to being killed, all were unarmed, not resisting and under the control of the applicant’s unit. 192. The domestic courts rejected certain factual submissions of the applicant. It was not established that the deceased villagers had handed over Major Chugunov’s unit but rather that Meikuls Krupniks had denounced that unit to the German forces, noting that the unit’s presence in his barn was a danger to his family. The archives did not show that the deceased villagers were Schutzmänner (German auxiliary police) but only that Bernards Šķirmants and his wife were aizsargi (Latvian National Guard). Nor was it established precisely why the villagers had been provided with arms by the German military administration (whether as a reward for information about Major Chugunov’s unit or because they were Schutzmänner, aizsargi or had another formal auxiliary capacity). 193. […] The Court notes that the disputed facts concern the extent to which the deceased villagers participated in hostilities […] and, consequently, their legal status and attendant legal right to protection. The domestic courts found the villagers to be “civilians”, an analysis supported by the Latvian Government. Reviewing certain of the domestic courts’ factual conclusions, the Chamber considered the male villagers to be “collaborators”, making alternative assumptions about the female villagers. The applicant, as well as the Government of the Russian Federation, considered the villagers to be “combatants”. 194. Having regard to the above-described dispute, the Grand Chamber, for its part, will begin its analysis on the basis of a hypothesis most favourable to the applicant: that the deceased villagers fall into the category of “civilians who had participated in hostilities” (by passing on information to the German military administration as alleged, an act that could be defined as “war treason”) or that they had the legal status of “combatants” (on the basis of one of the alleged auxiliary roles). 195. The Court clarifies that the villagers were not francs-tireurs given the nature of their alleged activities which led to the attack and since they were not, at the relevant time, participating in any hostilities. The notion of levée en masse has no application as Mazie Bati was already under German occupation. 4. Was there a sufficiently clear legal basis in 1944 for the crimes of which the applicant was convicted? 200. The parties, the third parties and the Chamber agreed that the applicant could be accorded the legal status of “combatant”. Given the applicant’s military engagement in the USSR and his command of the Red Partisan unit that entered Mazie Bati […], he was in principle a combatant having regard to the qualifying criteria for “combatant” status under international law which had crystallised prior to the Hague Regulations, which were consolidated by those Regulations and which were solidly part of international law by 1939. 201. The Grand Chamber remarks that it was not disputed domestically or before this Court that the applicant and his unit were wearing German Wehrmacht uniforms during the attack on the villagers, thereby not fulfilling one of the above-mentioned qualifying criteria. This could mean that the applicant lost “combatant” status (thereby losing the right to attack) and wearing the enemy uniform during combat could of itself have amounted to an offence. However, the domestic courts did not charge the applicant with a separate war crime on this basis. This factor does have some bearing, nonetheless, on other related war crimes of which he was accused (notably, treacherous killing and wounding […]). The Court has therefore proceeded on the basis that the applicant and his unit were “combatants”. One of the hypotheses as regards the deceased villagers is that they could also be considered “combatants” (see paragraph 194 above). 202. As to the rights attaching to “combatant” status, jus in bello recognised in 1944 the right to “prisoner of war” status if combatants were captured, surrendered or were rendered hors de combat, and prisoners of war were entitled to humane treatment. It was therefore unlawful under jus in bello in 1944 to ill-treat or summarily execute a prisoner of war, use of arms being permitted if, for example, prisoners of war attempted to escape or to attack their captors. 203. As to the protection attaching to “civilians who had participated in hostilities”, the other hypothesis made as regards the deceased villagers, the Court notes that in 1944 the distinction between “combatants” and “civilians” (and between the attendant protections) was a cornerstone of the laws and customs of war, the International Court of Justice (ICJ) describing this to be one of the two “cardinal principles contained in the texts constituting the fabric of humanitarian law” [See Case , ICJ, Advisory Opinion on Nuclear Weapons ]. Earlier treaty provisions and declarations would indicate that by 1944 “civilians” were defined a contrario to the definition of “combatants”. It was also a rule of customary international law in 1944 that civilians could only be attacked for as long as they took a direct part in hostilities. 204. Finally, if it was suspected that the civilians who had participated in hostilities had committed violations of jus in bello in doing so (for example, war treason for passing on information to the German military administration; see paragraph 194 above), then they remained subject to arrest, fair trial and punishment by military or civilian tribunals for any such acts, and their summary execution without that trial would be contrary to the laws and customs of war. (b) Was there individual criminal responsibility for war crimes in 1944? 213. […] The Court considers that by May 1944 war crimes were defined as acts contrary to the laws and customs of war and that international law had defined the basic principles underlying, and an extensive range of acts constituting, those crimes. States were at least permitted (if not required) to take steps to punish individuals for such crimes, including on the basis of command responsibility. Consequently, during and after the Second World War, international and national tribunals prosecuted soldiers for war crimes committed during the Second World War. 214. The Court will therefore examine whether there was a sufficiently clear and contemporary legal basis for the specific war crimes for which the applicant was convicted […]. 216. The Court notes, in the first place, that the domestic criminal courts relied mainly on provisions of the 1949 Geneva Convention (IV) […] (see paragraphs 60-62 above) to convict the applicant for the ill-treatment, wounding and killing of the villagers. It considers, having regard notably to Article 23 (c) of the Hague Regulations, that, even if the deceased villagers were considered combatants or civilians who had participated in hostilities, jus in bello in 1944 considered the circumstances of their murder and ill-treatment a war crime since those acts violated a fundamental rule of the laws and customs of war protecting an enemy rendered hors de combat. For this protection to apply, a person had to be wounded, disabled or unable for another reason to defend him/herself (including not carrying arms), a person was not required to have a particular legal status, and a formal surrender was not required. As combatants, the villagers would also have been entitled to protection as prisoners of war under the control of the applicant and his unit and their subsequent ill-treatment and summary execution would have been contrary to the numerous rules and customs of war protecting prisoners of war (noted at paragraph 202 above). Accordingly, the ill-treatment, wounding and killing of the villagers constituted a war crime. 217. Secondly, the Court finds that the domestic courts reasonably relied on Article 23 (b) of the Hague Regulations to found a separate conviction as regards treacherous wounding and killing. The concepts of treachery and perfidy were closely linked at the relevant time so that the wounding or killing was considered treacherous if it was carried out while unlawfully inducing the enemy to believe they were not under threat of attack by, for example, making improper use of an enemy uniform. As noted […], the applicant and his unit were indeed wearing German Wehrmacht uniforms during the operation in Mazie Bati. Article 23 (b) of the Hague Regulations clearly applies if the villagers are considered “combatants” and could also apply if they were considered “civilians who had participated in hostilities”. In this latter respect, the text of Article 23 (b) referred to killing or wounding treacherously “individuals belonging to the hostile nation or army”, which could have been interpreted as including any persons under some form of control of a hostile army including the civilian population of an occupied territory. 218. Thirdly, the Latvian courts relied on Article 16 of the 1949 Geneva Convention (IV) to hold that burning a pregnant woman to death constituted a war crime in breach of the special protection afforded to women. That women, especially pregnant women, should be the object of special protection during war was part of the laws and customs of war as early as the Lieber Code 1863 (Articles 19 and 37). It was further developed through “Geneva law” on prisoners of war (women were considered especially vulnerable in this situation). The Court considers these expressions of “special protection”, understood in conjunction with the protection of the Martens Clause […](see paragraphs 86-87 and 215 above), sufficient to find that there was a plausible legal basis for convicting the applicant of a separate war crime as regards the burning to death of Mrs Krupniks. The Court finds this view confirmed by the numerous specific and special protections for women included immediately after the Second World War in the Geneva Conventions (I), (II) and (IV) of 1949, notably in Article 16 of the last-mentioned Convention. 221. Finally, the Court would add that, even if it was considered that the villagers had committed war crimes (whichever legal status they retained), the applicant and his unit would have been entitled under customary international law in 1944 only to arrest the villagers, ensure that they had a fair trial and only then to carry out any punishment (see paragraph 204 above). 222. Since the Court considers that the above-mentioned acts of the applicant were capable of amounting to war crimes in 1944 […], it is not necessary to comment on the remaining charges retained against him. 223. Moreover, the Supreme Court Senate noted that the Criminal Affairs Division had established on the evidence that the applicant had organised, commanded and led the Partisan unit which was intent on, inter alia, killing the villagers and destroying farms. That court noted that that was sufficient to result in the command responsibility of the applicant for the acts of the unit, relying on Article 6 of the Charter of the IMT Nuremberg. In particular, those established facts indicated that he was de jure and de facto in control of the unit. Given the purpose of the mission established domestically, he had the required mens rea. Indeed, the applicant’s own submission to the Grand Chamber (that his unit could not have arrested the villagers given, inter alia, the unit’s combat duties and the situation […]) is entirely consistent with the above mentioned facts established by the Criminal Affairs Division. Having regard to the applicant’s command responsibility, it is not necessary to address the question of whether the domestic courts could properly have found that the applicant had personally committed any of the acts in Mazie Bati on 27 May 1944 […]. 6. Could the applicant have foreseen that the relevant acts constituted war crimes and that he would be prosecuted? 238. Moreover, the Court notes that […] the present applicant was a sergeant in the Soviet Army assigned to the reserve regiment of the Latvian Division: at the material time, he was a member of a commando unit and in command of a platoon whose primary activities were military sabotage and propaganda. Given his position as a commanding military officer, the Court is of the view that he could have been reasonably expected to take such special care in assessing the risks that the operation in Mazie Bati entailed. The Court considers that, having regard to the flagrantly unlawful nature of the ill-treatment and killing of the nine villagers in the established circumstances of the operation on 27 May 1944 […], even the most cursory reflection by the applicant would have indicated that, at the very least, the impugned acts risked being counter to the laws and customs of war as understood at that time and, notably, risked constituting war crimes for which, as commander, he could be held individually and criminally accountable. 239. For these reasons, the Court deems it reasonable to find that the applicant could have foreseen in 1944 that the impugned acts could be qualified as war crimes. 244. In the light of all of the above considerations, the Court concludes that, at the time when they were committed, the applicant’s acts constituted offences defined with sufficient accessibility and foreseeability by the laws and customs of war. (Document A., para. 121) How does the Chamber define the situation? What law was applicable at the time of the incident? (Document A., para. 118) Do you agree with the Chamber that the Geneva Conventions of 1949 and Additional Protocol I are not applicable to the acts in question? Is the argument of non-retroactivity relevant? Could reference nonetheless be made to some of their provisions? If they are merely the crystallization of customary rules that were in existence when the acts were carried out? If they clarify matters and help to interpret the rules that were in existence when the acts were carried out? (Document A., para. 131) Do you agree with the Chamber that the rule according to which anyone who is not a combatant is a civilian, formally enshrined in Art. 50 of Additional Protocol I, did not exist when the acts were carried out? Nor in the Geneva Conventions of 1949? Does Art. 5 of Geneva Convention IV imply that those who are not combatants are not necessarily civilians? What is the opinion of the Grand Chamber on that matter (Document B., para. 203)? For the following questions, please give consideration to the applicable Geneva Conventions of 1949 and Additional Protocol I of 1977. (Document A., para. 130) What do you think of the Chamber’s two arguments to remove justification relating to the reason for committing the act? Is the fact that National Socialism contradicts the most basic values in the Convention a relevant legal argument? Why? (Document B., para. 191) Given the facts in question, can the nine villagers be said to have taken part directly in the hostilities on 27 May 1944? Is the fact that they were preparing to celebrate Whitsun (Pentecost) and that they were taken by surprise in their homes sufficient in itself to determine whether or not that was the case? (Document A., para. 129) Is the fact that they regularly mounted guard at night, similarly to the Lithuanian National Guard, sufficient in itself to determine whether or not that was the case? (Document A., para. 15) Is the fact that they had been given weapons by the German occupying army relevant? Does the fact that they had asked for these weapons for their “personal defence” affect the answer? Does the fact that the villagers had weapons in their homes make it possible to determine their status and the legitimacy of their execution? Is the fact that they were not carrying the weapons at the time of the attack important? In the view of the Chamber (Document A., para. 127)? In the view of the Grand Chamber (Document B., para. 191)? In your view? (Document B., paras 194, 202-204, 213, 216, 221) Why does the Grand Chamber not bother to determine the status of the nine villagers precisely in order to analyse the legality of the attack in Mazie Bati? (Document A., paras 132 and 134) Was the aim of the operation “which consisted of an ad hoc execution of collaborators of the Nazi enemy” legitimate under IHL? In the absolute? Given the fact that the villagers did not offer any resistance at the time of the attack? Does the selective nature of the operation affect your answer? (Document A., para. 138-140, Document B., para. 218) Is knowing whether the death of the villagers was planned in the attack or whether it occurred as a result of having “too much power” important in IHL? Is burning a pregnant female villager alive only a common law crime? A violation of the laws and customs of war? A war crime? Because the victim is a woman? Because she was pregnant? Because she was a civilian? In the view of the Chamber? In the view of the Grand Chamber? In your view?